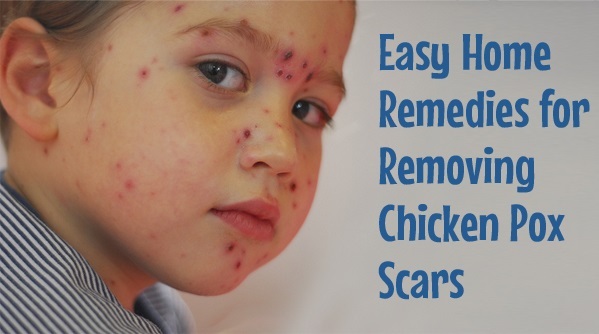 Chicken pox is a very common viral infection which leaves your skin with chicken pox scars. These marks appear due to of bursting of itchy blisters that are filled with fluid. These marks are very difficult to deal, which is why scratching during the viral is strictly avoided. Though there are various medical procedures and ointments that can be of good help but if you are looking for natural home remedies to get rid of the chicken pox scars then this article can be of great help to you. It brings to you 15 amazing remedies that promise skin free from these stubborn and difficult marks. So find out what these effective solutions are by going through the list given below. Papaya is known for its rich Papain enzyme. It comes with the goodness of exfoliating skin, treating skin discoloration and removing dead skin. It is very effective in dealing with chicken pox wounds. You can use the pulp of papaya for direct application on skin or you can also prepare a scrub by mixing fresh papaya with milk and brown sugar. This scrub is a wonderful remedy from your kitchen. Regular usage can fade away the stubborn marks. Coconut water is one of the healthiest drinks. It consists of amazing nutrients and minerals which are very good for skin and overall health. The presence of cytokines helps maintaining pH balance in the skin along with regulating skin growth. You can start applying coconut water on your chicken pox scars during the course of infection. You can add 1-2 glasses of coconut water to your bath water as well. This would wash off all the infections along with clearing your skin from marks. You can also include it in your diet. Aloe vera comes with amazing properties which help your skin heal from allergies, diseases and wounds. It helps in quick recovery by helping your skin recover from wounds, inflammations and marks. It works beautifully on blemishes and spots left by chicken pox. Scrubbing your skin with paste prepared with aloe vera, lemon juice and brown sugar can leave you with a much clearer skin. Use it regularly to see impressive results. Lemon juice is an amazing source of Vitamin C which is responsible for production of collagen. Collagen along with alpha hydroxyl acids help in healing your skin. It is another natural remedy from your kitchen which promises to reduce chickenpox marks. All you need to do it apply lemon juice on your scar affected skin using a cotton ball and leave it for 10 to 15 minutes. Oats are a healthy and natural remedy for scars caused due to chicken pox. You can consume oats as a healthy meal and apply oats as a scrub on your scar affected skin. Prepare a bath scrub using oat flour and milk. You can also use oatmeal with yogurt and lemon juice to lighten the scars. It is very effective in reducing the redness caused by itching along with lightening these stubborn marks. Almond Oil is rich in minerals. Massaging skin with almond oil on a regular basis works as an effective remedy for scars caused by pox. This will nourish your skin along with helping your scar marks lighten on regular usage. Baking Soda is an amazing home remedy. It maintains the pH balance of the skin. You can apply a simple mixture of baking soda in water and prepare a paste out of it. Apply this preparation on the affected areas and scrub it for a few minutes. With regular usage you will experience that these tough marks have started to lighten. Coconut Oil comes with miraculous properties like healing the wounds and lightening the scars. It is a fantastic natural remedy which catalyses the production of collagen. It keeps your skin hydrated and fastens the healing process. Massage gently your mark affected skin area with extra virgin coconut oil so that it is absorbed by your skin. Repeat this process 2-3 times a day to experience lightening of scars caused by chicken pox. Honey is not only a healthy sweetener but it is also a natural moisturizer with beautiful beaching properties. It lightens marks on the skin caused by chicken pox and also nourishes it from deep. It catalyzes the healing process and promotes skin regeneration. It is a fabulous home remedy. You can prepare a natural scrub by mixing honey with oats and water. Blend all the three ingredients to create a soft and consistent scrub. Apply it to the affected area and scrub it for a few minutes. Allow it to stay for 15 minutes and then wash it off. You will enjoy a beautifully soft skin with lightened scars. Vitamin E is known to be an essential nutrient for skin. It is effective in repairing skin damages and protecting the skin from bacteria, free radicals and other environmental damages. Applying face masks prepared from such fruits and vegetables rich in Vitamin E and also including them in your diet will be extremely helpful in skin regeneration and repair from the inside. Spinach, papaya, avocado are some of the most beneficial sources of Vitamin E which can also heal the chicken pox scars. For instance, you can prepare a mixture using avocado pulp, honey and vinegar. Apply it to the skin and leave it for 10-15 minutes. This will ensure scar free skin. Essential oils play a vital role in Aromatherapy. Blending different kinds of essential oils into a healthy mix can be of great help for speeding up the healing process of chicken pox wounds. It will not only heal the wounds but will also reduce the scars on the skin. Here are a list of oils which can be mixed together. Prepare a blend by using all the above mentioned oils along with distilled water. Apply it regularly on the affected areas twice a day. Always store the oil in a glass jar. Cocoa butter is a useful natural remedy for all kinds of scars and marks. It has the potential to penetrate deep into the dermis layer thereby helping the moisture stay on the skin for longer period. Apply cocoa butter on the chicken pox scars and rub it for a few minutes to ensure better absorption. Regularly apply this healthy butter 2-3 times a day and gradually your scars will fade away. You can prepare an effective cream for chicken pox scars sitting at home. You can create a wonderful cream consisting of cocoa butter, coconut oil, lemon essential oil and Vitamin E oil. Each of these ingredients is wonderfully effective in treating scars. Apply this cream 3-4 times a day. Take 12 tsp coconut oil and ½ cup cocoa butter in a pan. Melt the contents on low flame. Remove the pan once the contents have melted. Now add 2 tsp Vitamin E oil and ½ tsp Lemon essential oil. Let it cool and then store it in a glass container. Marigold flowers come with antibacterial and anti-inflammatory properties. They heal the wounds faster and also help scars lighten faster. You can prepare a marigold salve at your home and use it for application on chicken pox scars and other marks on skin. Mix 2 cups of marigold flowers with 3 cups of coconut oil and 2.5 cups of beeswax and head it in a double boiler for 1-2 hours. Later add 10 drops of an essential oil and strain the mixture into a glass jar. Apply this oil on your skin regularly. Lavender essential oil comes with antiseptic and anti-fungal properties. It also prevents skin from scars and catalyses healing process. Mix 2 drops of lavender oil with 1 tsp of coconut oil or olive oil for dilution. For applying it on children’s skin, reduce the quantity of lavender oil to 1 drop. Apply it on chicken pox marks everyday for 2-3 times. These are the best home remedies which can help the chicken pox scars fade away. Enjoy a clean skin with the natural solutions given above.